Sometimes all we need is a little change of scenery to get the creative juices flowing! If, like me, you’re a freelancer working on a project and you’re close to pulling your hair out with frustration (I’m sure I’m not alone here people), why not take advantage of the super cheap flights to Bali and book a couple of weeks in paradise at a place entirely your own? 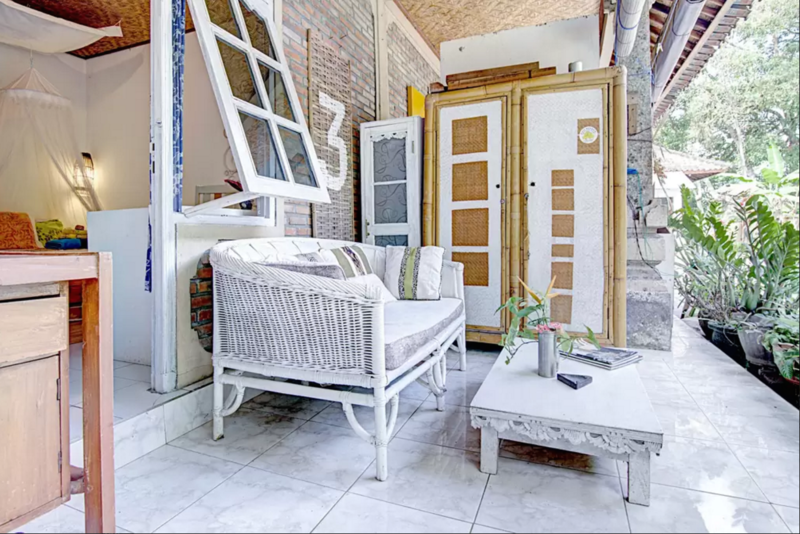 Thanks to the exchange rate and AirBnB, hosts are offering budget, boho homes for the imaginative traveler craving inspiration in creative meccas like Canggu and Ubud. They also offer every freelancer’s holy grail – free and fast WiFi! Rumah Bebek – A Garden Spot. Lovely 1 bedroom house with separate kitchen, ac and garden on Jalan Batu Bolong. Super location for surfers, beach lovers and anyone who wants to experience “real” Bali life! Perfect for easy-going, low-key World Travellers, digital nomads & Backpackers on a budget.